One of the famous French chef and restaurateur was Joel Robuchon. He was also named as the “Chef of the Century”. He also had published various French cookbooks out of which two has been translated into English. He is the most influential French chef of post-nouvelle cuisine era. 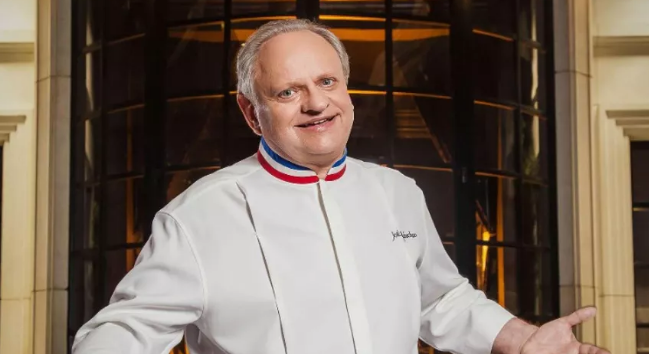 Joel Robuchon was born on 7 April 1945 at Poitiers, France. He was one of the four children of his parents. He is of French descent. From his young age, only he started to gain more knowledge about being chef. He worked as a cook in Deux-Serves. In 1960, at the Relais of Poitiers hotel, he became an apprentice chef. He was just 15 years at that time. In 1966, he learned a variety of regional techniques after joining apprenticeship ‘Compagnon du Tour de France’. In 1976, at Hotel Concorde La Fayette he was appointed as head chef. He was regularly invited on French TV from 1987 to 1990. In 1989, by Gault Millau, he was called as ‘Chef of the Century’. He started his own restaurant called Jamin in Paris. He was a Freemason of the Grande Lodge Nationale Francaise. In Asia, he has L’Atelier de Joel Robuchon at Bangkok which 1 Michelin star, L’Atelier de Joel Robuchon at Hong Kong which is 3 Michelin star, Robuchon au Dome at Macau which is 3 Michelin star, L’Atelier de Joel Robuchon at Shanghai which is 2 Michelin star, Salon de The de Joel Robuchon at Shanghai, L’Atelier de Joel Robuchon at Singapore which is 2 Michelin star, Restaurant de Joel Robuchon at Singapore which is 3 Michelin star, L’Atelier de Joel Robuchon at Taipei which is 1 Michelin star, Salon de The de Joel Robuchon at Taipei, L’Atelier de Joel Robuchon at Tokyo which is 2 Michelin star, La Table de Joel Robuchon at Tokyo which is 2 Michelin star and Le Chateau de Joel Robuchon at Tokyo which is 3 Michelin star. In Europe, he has L’Atelier de Joel Robuchon at London which is 1 Michelin star, LA Cuisine de Joel Robuchon at London which is 1 Michelin star, La Grande Maison de Joel Robuchon at Bordeaux, Restaurant de Joel Robuchon at Monaco which is 2 Michelin star, Yoshi at Monaco which is 1 Michelin star, L’Atelier de Joel Robuchon at Paris which is 2 Michelin star and La Table de Joel Restaurant at Paris which is 2 Michelin star. In North America, he has L’Atelier de Joel Robuchon at Las Vegas which is 1 Michelin star, Joel Robuchon at Las Vegas which is 3 Michelin star, L’Atelier de Joel Robuchon at Montreal, L’Atelier de Joel Robuchon at New York City and Le Grill de Joel Robuchon at New York city. He had published numerous cookbooks. Some of them are as Simply French, Tout Robuchon (in English as The complete Robuchon), L’Atelier de Joel Robuchon, Food and Life, Robuchon Facile, Best of Robuchon and many more. Robuchon is a married man. He has two children named as Sophie and Louis. 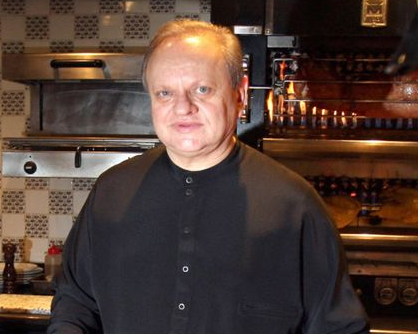 Robuchon’s net worth was estimated to be $400 Million. He was one of the richest chefs in the world. Robuchon was a cancer patient. After receiving treatment for a pancreatic tumor, he died on 6 August 2018. He died at the age of 73.